My name is Brynn Taylor, and I am 12 years old. I started this petition with my dad because I love horses. They are sweet, kind animals with very big hearts. They help us in so many ways, from being a great form of physical therapy for people with disabilities to providing companionship to veterans. Horses are very heroic and have been a big part of our history. Now it is our turn to help them. In 2014 alone, more than 140,000 U.S. horses were slaughtered for human consumption overseas. The process is cruel and inhumane — the long, cramped journey to Mexico and Canada causes these animals great stress and suffering. Once at the slaughterhouse, they are shoved into a “kill box” where there is an attempt to stun them before they are killed. It often doesn’t work, and the horse remains conscious. It is time for the cruel and unnecessary killing of horses to end. The Safeguard American Food Exports (SAFE) Act of 2015 would prohibit the sale or transport of horses and other equines for the purpose of consumption. SAFE would establish Congressional recognition that equines are not domesticated for human consumption. Even if you believe it should be okay to consume horses, US horses are treated with chemicals that make them unsafe for human consumption. The SAFE ACT recognizes these chemicals as hazardous to humans, and calls for a ban on the consumption of equine meat. The bill has been introduced in both the House and Senate, but opponents are working hard to stop it. We need you to raise your voice to end the cruel slaughter of horses. Help me protect the animals I love and get the SAFE Act passed. 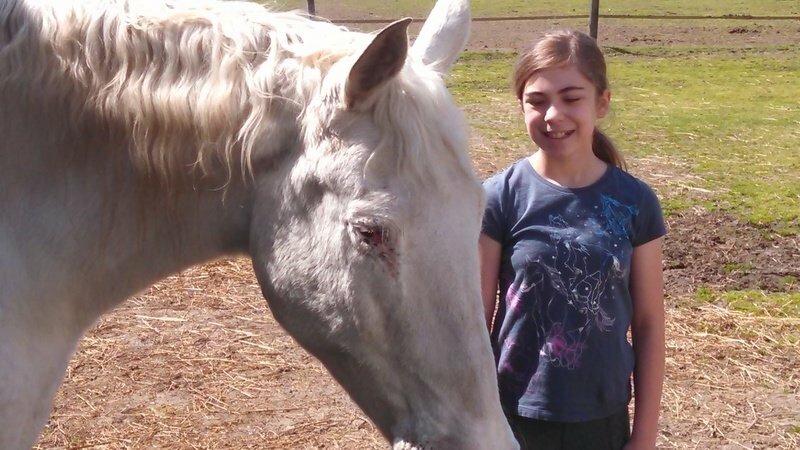 This entry was posted in -Horse Abuse, Horse Protection, Horse Rescue by MMFisher. Bookmark the permalink.